In Concert. Photographed by Martin Fisch. 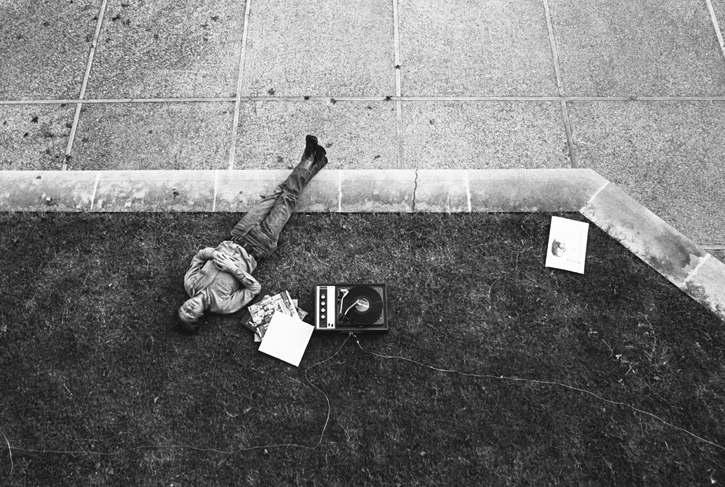 Yes Music in the Amphitheater, students listening to music, 1970. Photo: © Ed Uthman. 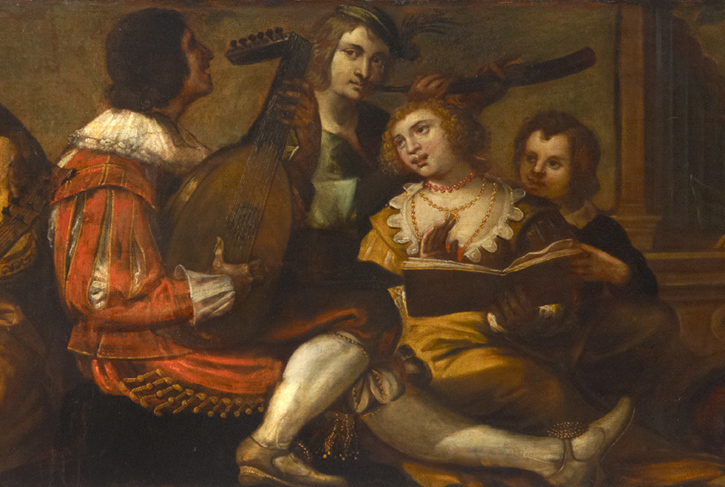 Group of Musicians by unknown artist. © Royal College of Music. 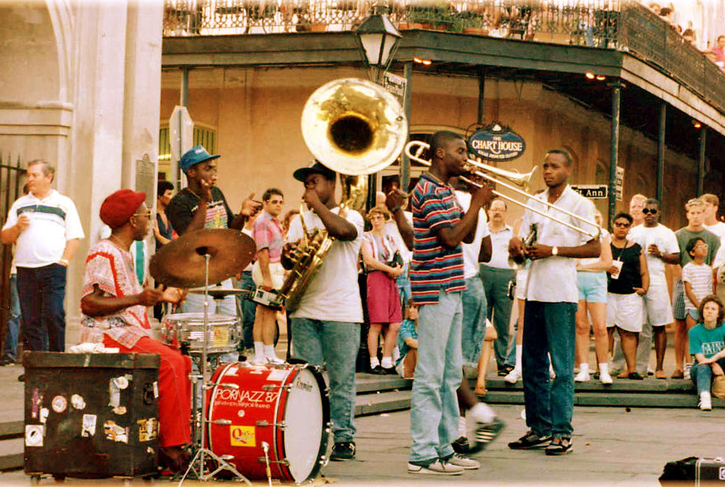 Street musicians, May 1989, New Orleans. Photographed by Brenda Anderson. Photo: Brenda Anderson. 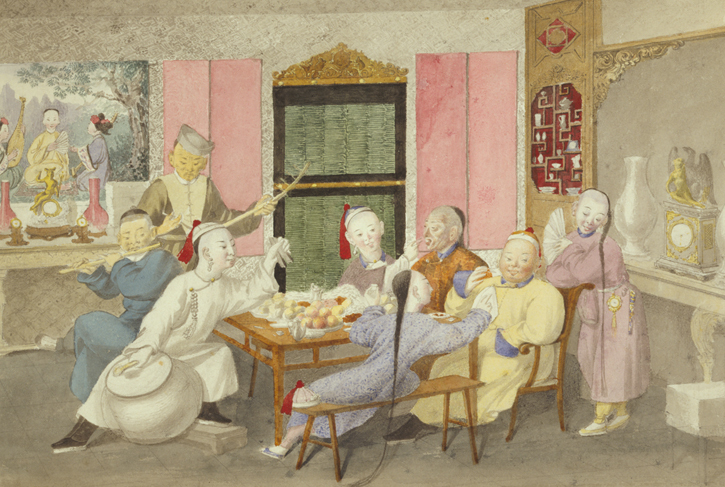 Gennadiĭ Vasil’evich Yudin Collection, Musicians accompany two men eating, attended by three servants, c.1860-1900, watercolor. Photo: Yudin Collection, Library of Congress Prints and Photographs Division, Washington. This is an open and freely searchable database that brings together a mass of data about people’s experiences of listening to music of all kinds, in any historical period and any culture. 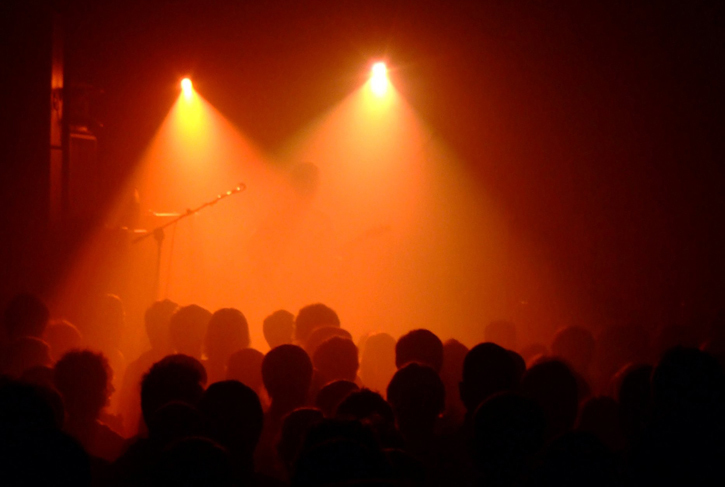 There are currently 11088 listening experiences in the database, with 692 more experiences awaiting approval. "Who do you think I sat next to, darling? The Crown Prince of Norway! Not that that was any inspiration, for he fidgeted all through, looked round at everything, read all through the names of the members of the orchestra several times, belched, and looked thoroughly [...]"
"At one o'clock I got some good news: I was asked in to listen to the chorus, which was now said to be completely ready and in three days' time would have their music off by heart. Hurrah, the production has advanced a step forward to the first night. Nipoti has been [...]"